The Ethiopian National Anti-Doping Office which has been officially established by Federal Democratic Republic of Ethiopia Council of Minister’s Regulations No. 400/2017 believes that all sports should be practiced in a clean and doping free environment. 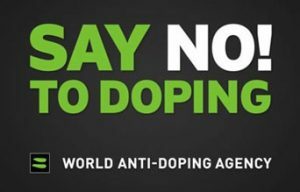 So, it promotes an effective way of fighting against doping in all sports by focusing on several areas to ensure a harmonized approach to anti-doping activities. Looking back, it has been a solid year of successes for ETH-NADO on the implementation of anti-doping activities focus on and reflects the importance of a comprehensive approach to the fight against doping and a violation of the good spirit of sport. Particularly, ETH-NADO has focused to effectively and efficiently execute the anti-doping training, education and social mobilization; testing and investigation; strengthening different procedures and systems like TUE, RM and Hearing; implementing ADAMS; and strengthening communications with different National Stakeholders and International Anti-Doping Organizations such as WADA, SAIDS and the IAAF- Athletics Integrity Unit, etc. Therefore, this annual report volume II, a follow up of the annual report of 2016 and 2017 comprises major activities such as ETH-NADO over view, capacity building, testing and investigation and other anti-doping programs carried out in 2018 physical year.